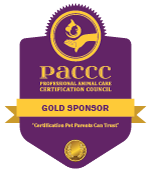 The International Boarding & Pet Services Association (IBPSA) is a professional association serving the pet care services industry. IBPSA offers business resources, staff education, and legislative support. IBPSA Members include the owners and employees of pet boarding and daycare facilities, groomers, dog walkers, pet sitters, veterinarians, trainers, and holistic pet care providers currently residing in more than 10 countries. Pet owners across the globe spend billions on their pets every year. In fact, Americans, alone, spend more than $60 billion. Of that, over $5 billion is spent on pet care services such as grooming, boarding, walking, training, and pet sitting. This “services” category of pet spending is routinely growing by the largest percentage – more than triple the growth percentage of any other category in recent years. Reports from around the world indicate similar rapid growth internationally. 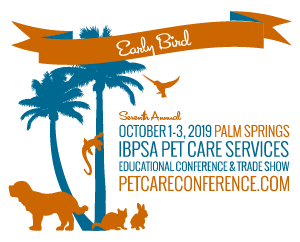 For the fast-growth, highly competitive world of pet care services, IBPSA is dedicated to providing our Members with the business resources and support they need to be among those considered the best in the industry. IBPSA’s staff education and certification programs, developed by veterinarians and industry experts, provide an invaluable base of pet care knowledge for service providers. Our focus on current industry trends and analysis of impact to business, as well as staying abreast of industry legislation, allows our Members to focus on making their business a success. IBPSA also facilitates and encourages networking opportunities so our Members can gain support and learn from other industry professionals. So, are you ready to join IBPSA? Hundreds of your industry colleagues have already joined us to better their businesses and improve their lives.